I am happy that I left the call center industry two years ago - because everything that I did for the four years I stayed there was monotonous. It somehow squeezed out my energy and my youth. Though I admired some things in my previous job, I despise the fact many are still going to this industry all for money - or for power for most of the time. Some just take time to earn, and at the same time, become ineffective, like this customer service rep from WNS Philippines, wasting like five minutes of the customer's time. I can't believe agents like this person can bring camcorders or gadgets on the production floor. Such a disgrace! Update: The agent's name is Shan Cruz Rivera, currently works at TPG, and is no longer part of WNS. As of this update, he is trending the social media sites like Facebook and Twitter. He even has a Facebook Fanpage. And here's his newest video as "Lady Gaga". 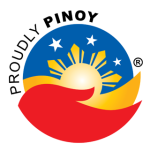 BPO industry in the Philippines is in serious jeopardy right now.